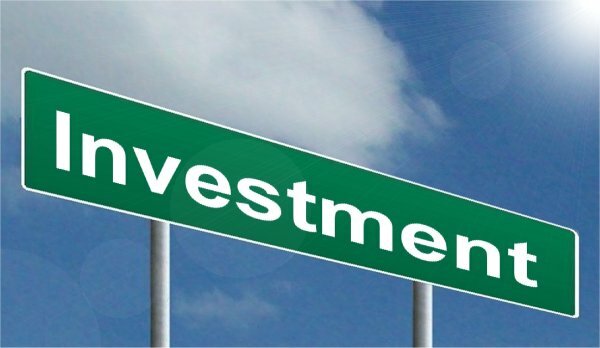 Investments Worth Considering For Your Retirement Funds. Retirement can be a period of our lives we don’t think about too much. Especially while we are in our twenties and thirties. It’s just not something we want to consider, the whole growing old thing. It can be a chapter of our lives that can seem far away. Sometimes priorities in our lives take over. But before we know it we will be hitting the age where we retire from work and then what? What do we do then? How do we cope and live? This is why it is essential to think about retirement as soon as you can. The earlier you begin to plan for your future the brighter it will be. Both in experience and financially. Finances, in particular, can be a worrying subject for us all. Some of us may even be struggling to make ends meet now yet alone be thinking about money away for savings and our future. I can understand that. Living in the present is important and getting by month to month is just what we have to do to survive. But with careful planning and consideration anyone can make some plans for the future. It will be worth it to you in the long run. So I thought I would share with you some worthy investments to consider. Some are for thinking about now, some are for a few years time. But all of them can make your retirement a much brighter period of life. Besides, why shouldn't you enjoy that stage? If you own your property right now, then you have already made a good decision for your future. Owning at least one property ensures that you have some form of investment to consider in the future. This is where equity release can come in when it comes to your retirement. For those of you that are unfamiliar with the term, equity release means releasing equity from your property. So If your property has a loan but is worth more than that, then the difference is your equity and your profit. This money is yours to what you will. Some people would leave the equity in the property as part of the estate to be left when they pass away. However, others may want to use that money to live or experience life in their retirement. Funds could go towards traveling with your loved ones or experiencing new things with your family. Creating lasting memories. Or, if you haven't considered any other funding for your retirement, this lump sum could just be what you need to survive the rest of your years. The first thing to do is to invest in a property as soon as possible. Once you have done that you have at least one investment that will pay off in the future. Property is a great investment, we have already discussed that. So why stop at one property when you know it can be quite a lucrative profit earner. This means you could potentially buy and sell property over the years. One great way to do this is to buy a property that needs work, and then sell on once it is saleable. Or you could build a portfolio and rent out properties to other people. It’s worth speaking to your bank as you will need some good financial backing. But in the future, this could be the only nest egg you need to have a great retirement. Pensions are another great source of income for your retirement. You may be lucky enough to receive a workplace pension from your employer. Sometimes these can be quite lucrative and beneficial to you. However, it is also worth considering a personal pension as these can be much more profitable to you in the future. There are many options to consider, so it’s worth speak to someone who is an expert in pensions. You might find you only need to contribute a small amount, but something is better than nothing in these cases. Sometimes funds can be spent if you have easy access to them. We are only human after all. So something worth your consideration would be to have the funds turned into precious metals like gold. A gold bullion investment could work out well for you as the value of metals doesn’t tend to depreciate as some things can. Once you need the funds just cash in the gold bars and you will have your cash. You may even find you make money as not only does the value not depreciate as much but it can increase over time. Stocks and shares can be a big money earner. But they can also be risky. The beauty of these is that the investment is flexible. So if you find that your stocks and shares are rising you could sell them and cash in on the profit quickly. But you may also lose, so sometimes it’s worth hanging on in there. Stocks and shares can be a great investment, but you need to be clever with your choices. So it’s worth getting advice from professionals who can offer some great advice. It may also be worth investing money that you don’t mind losing. Smaller amounts at a time may be better. This is because the market can change overnight, you may have money one day, and then that company goes bust the next day, and you lose it all. It’s a risk, but it can be a profitable one that is for sure. Finally, the last investment to consider would be good old-fashioned high interest savings accounts. You can still get some good deals if you hunt them out. Often these won’t be instant access, so you have to be happy to lock your money away for a period. But it can be a nice pay off by taking the interest rate to the end of it’s term. It can be considered one of the safest ways to invest your money, but it won’t necessarily offer you the highest return. I hope this has made you think about your retirement funds.